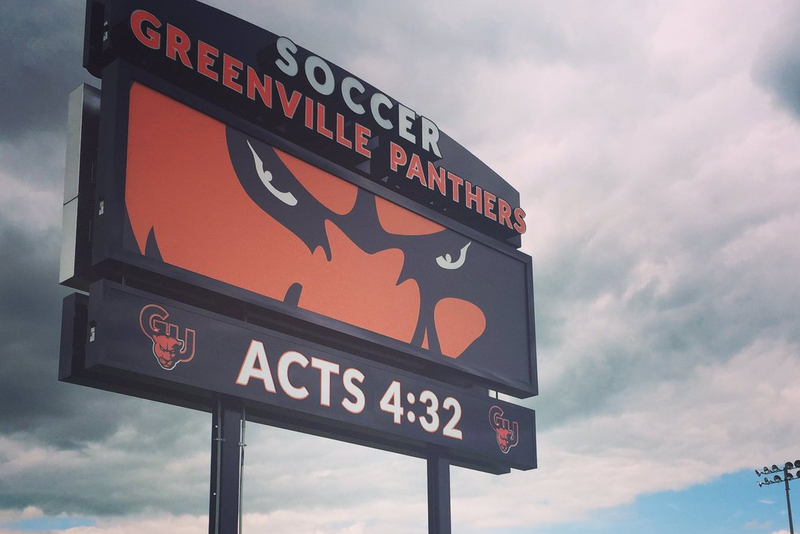 At this point in the semester, Greenville University fall sports are now in full swing and some are even approaching the midway point of their seasons. With all the stressful competition that comes at this time surrounding conference rankings, long road trips, and hard-fought games, it is more important for athletes to step back and remember the reasons they chose this lifestyle in the first place. 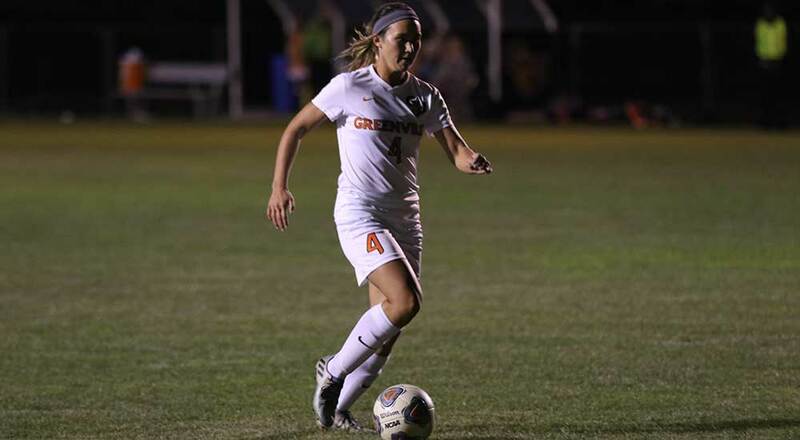 After talking with Dani Pearce, one of the six seniors on our GU Women’s Soccer Team, it became apparent that although she has always had a pure love for the game itself, the reasons why she continues to play today have grown and matured with her throughout her journey. 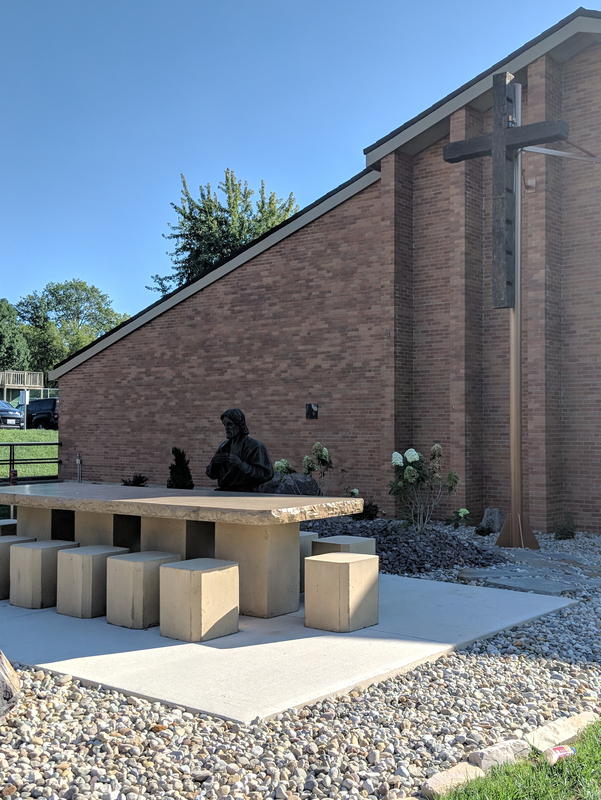 Pearce is a fan of this newest addition to GU’s campus exemplifying our values. Media by Gavin Jordan. The first time Pearce visited campus was also the first interaction she had with the coaching staff here at GU. As she recalled her first conversation with head coach Jeff Wardlaw, Pearce explained that, “It just felt like a fit.” This was partilly due to the way he talked about soccer and his own personal journey leading him to Greenville. The instant connection she felt after that conversation was able to help cement her decision that Greenville was where she belonged. Throughout her four years at Greenville, Pearce has gone above and beyond to make her presence felt among her teammates both on and off the field. She has been part of the team’s Leadership Council every year, which is comprised of a few players from each class to hold the team as a whole to the standards the coaching staff expects. She explained how this role has been challenging at times but she is grateful that always striving to lead by example has helped her step out of her comfort zone to help teammates and others become the best they can be. Just a few other accomplishments Pearce has achieved include being selected to the SLIAC All-Conference Teams after each season, SLIAC Player of the Week at least once each season, and the SLIAC Newcomer of the Year Award her freshman season. Pearce in action during a Panther win vs. Rose-Hulman earlier this season. Media from athletics.greenville.edu. It is obvious that Pearce plays a significant role in the success of the women’s soccer team, but that doesn’t change her attitude toward continuing to improve. The process of goal setting is key to her staying hungry for that improvement. She shared that one of her biggest individual goals for this season is to play a part in every point scored, whether it be with an assist or shot. Pearce is a great example for all athletes to follow because even if she knows she may not be able to achieve her goals every game, she continues to hold herself to a higher standard while believing in those around her to do the same. Overall, Pearce explained that coming to Greenville to play soccer has opened her eyes to a whole new side of the game where it’s no longer about playing for herself or just the love of the sport because she has now learned how to compete for Christ while showing His love to those surrounding her. If you’d like to watch Pearce and the rest of the women’s soccer team compete, come out to the John Strahl Athletic Complex this Wednesday, September 26th as they take on Illinois College at 7:00 P.M. or take a look at the full schedule for more opportunities to support them! Hope to see you there! 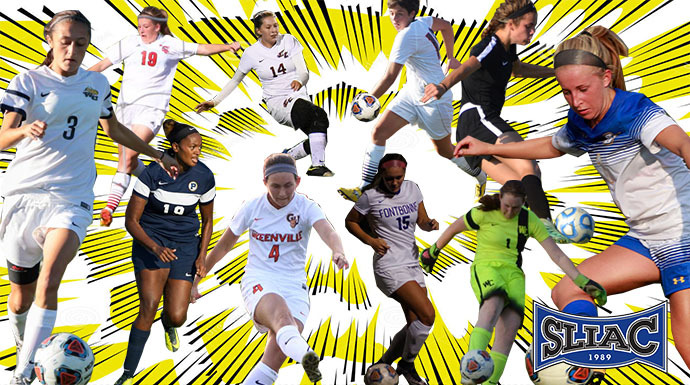 Pearce representing GU women’s soccer for the SLIAC. Media from sliac.org.